It’s not like Drake doesn’t know you think he’s soft. In fact, the Toronto MC has embraced that part of his artistry dating back to So Far Gone; his stellar 2009 mixtape. His ability to be in tune with his emotions but still spit amongst the heavyweights is what propelled him to stardom in the first place. While his last effort Take Care zeroed in on his vulnerability, Nothing Was The Same takes us much closer to the man he sees himself becoming. “Coming off the last record/I’m getting 20 million off the record just to off these records, now that’s a record” he brags on the opener “Tuscan Leather.” The production handled by longtime collaborator 40, is reminiscent of Dipset in their glory days, complete with a high-pitched sample of Whitney Houston’s vocals from her 1993 classic “I Have Nothing.” “This is nothing for the radio, but they’ll still play it though” he later proclaims, and he’s right. Running for just under 7 minutes, Drizzy’s opener creatively pits him against his peers, while “Furthest Thing” gives an introspective view of the stress that comes with his success, only to close on a celebratory note of embracing the fame. “Y’all niggas party too much, I just chill and record” he raps, and that becomes the underlying theme of Aubrey’s latest. As detailed in his GQ cover story, Drake is known to vanish from a party setting if he feels musically inspired enough. NWTS also does its fair share of risk taking, as evident on “Wu-Tang Forever”; the piano riddled cut that samples the grimy Wu classic “It’s Yourz” and turns it in to a syrupy melody, which in turn doesn’t sit well with some of the Wu’s core fan base. 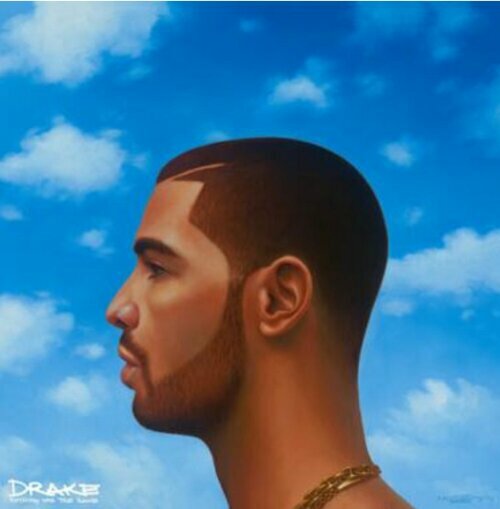 Upon multiple listens, you’ll almost get the impression that it was Drake’s intention to ruffle a few feathers. While “Wu-Tang Forever” flirts with lusty sounds, it smoothly segues into “Own It” which turns the sappiness up to level ten, with assistance from Detail and background vocals courtesy of PartyNextDoor. “Next time we fu*k I don’t wanna fu*k I wanna make love” he croons. But the love affair makes a complete 180 on the boastful “Worst Behavior.” “Motherfu*ckers never loved us” he snarls throughout on the DJ Dahi-produced track. NWTS often tips the scale of cockiness and a welcome into his humble abode, while certainty of the kind of superstar he’s become has never been more clear. Although respectful of those before him, presumably he’d much rather not play nice with the competition. After all, there’s only one crown.